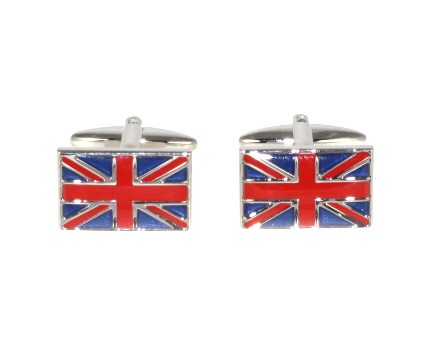 A pair of Union Jack cufflinks with T bar fitting. Great for days and events when you want to be patriotic such as Last Night of the Proms, The Queens Birthday Parade etc. A Union Jack Tie in a bold design with traditional colours of red white and blue. Made from pure silk. A red, white and blue Union Jack leather wallet with exterior flag detail and room for credit cards and bank notes.